Home » Blog » Is Meditation Making Your Anxiety Worse??? In the past few days, I have had several friends and clients reach out to me about meditation and anxiety. Their frustrations are the same–everyone recommends meditation for anxiety, but trying to meditate is making their anxiety worse. It’s not just mildly frustrating, but off the charts, pouring gas on a fire worse. Clearly, this problem is something we need to talk about. It may sound counterintuitive to seasoned yogi’s and meditation lovers, but sitting still and trying to quiet a racing mind for anxiety sufferers is at times horrible. If you are in the throes of anxiety and you feel like you are Sandra Bullock driving the bus in the movie Speed, achieving long periods of peaceful equanimity is not only impossible but absurd. It makes the feelings of fear and anxiety worse, perfectionism and judgment kick into high gear and then you convince yourself that you are a failure. Heart rate goes up, fear ramps up, and we are off to the races. It’s a vicious crazy cycle and It gets really, really messy! Meditation is a wonderful tool and I have been practicing and teaching meditation techniques for years, but here’s my truth. Some days I can’t do it, I can’t quiet my mind. Sometimes I sit down with powerful intentions and I end up feeling like my mind is as wild as 10 feral cats fighting in a gunny sack. I am no different than anyone else, I struggle with anxiety and a racing mind too. Fortunately, I have studied, tried and benefitted from some other fantastic mentors and teachers and found great comfort in what I’ve learned. 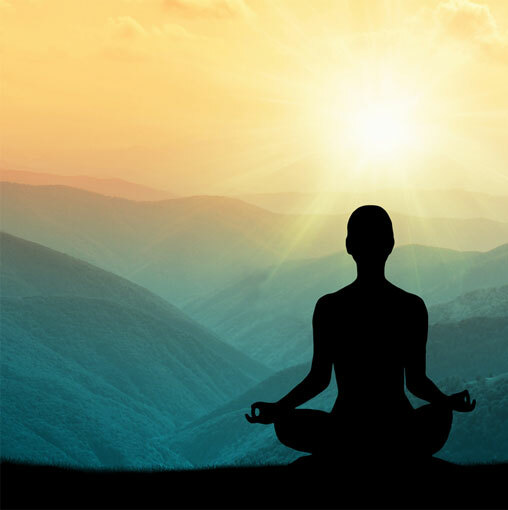 There are options to traditional meditation that can make you feel more calm, relaxed and confident in your ability to meditate, and they do help! 1. The right and left side of the brain has unique responsibilities; so moving your focus from right to left thinking can break the chaotic thinking patterns of anxiety. Begin by sitting down and looking around the room you are in and start naming the things that you see. Chair…table… lamp…rug…clock…etc. Then look for specific colors. The chair is blue, the clock has blue numbers, there is blue in the painting hanging on the wall. Again, tapping into a different part of the brain. Then take a breath and say out loud “I feel more relaxed.” If your mind is still racing keep naming things, and focusing on a specific color. Repeat as long and as often as needed. This technique really works, it sounds too easy but I have used it for years and it has been a lifesaver. It is also wonderful for kids too. Remember the “I Spy” and “Where’s Waldo” books? The same principals apply here, and they work. 2. Guided Meditations are a lifesaver. If you went to London tomorrow with no map, GPS or directions you would undoubtedly feel lost and overwhelmed unless of course you are from London and know your way around. A guide or a map would be a welcome tool to allow you to explore and enjoy your trip. Guided meditation is essentially allowing someone to give you directions and walk you to a calm quiet state. Sometime’s suffering in silence just isn’t going to cut it and there is no reason to stoke the anxiety fire. There are apps, YouTube videos and hundreds of recorded options available out there to help get you to a relaxed place. Guided meditation is still meditation and it’s not cheating! 3. Walking or moving meditation is an option that is rarely talked about, but something I love. I tried walking meditation after watching a video of Thich Nhat Hanh, a world-renowned mindfulness teacher. The practice is simply walking slowly and focusing only on your steps. Each time your foot touches the ground you say a mantra or comforting wish to yourself. Thich Nhat Hanh says each time our foot connects with the ground we imagine it is a kiss from Mother Earth, such a beautiful sentiment. I use the mantra “I have arrived”. The pattern is to take a breath in, take a step, think or say your mantra and then exhale. It is a slow deliberate beautiful process and if you can stay with it for about 10 minutes, it gets easier and really feels lovely. 4. Candle Gazing is another effective meditation option. Put a candle at eye level and find a comfortable seated position. Light the candle and focus only on the flame. Watch how it moves, and keep your focus on the color and glow of the flame. Don’t think about anything else, just watch and wait for what the flame will do. After 5 minutes if you feel like you would like to end the meditation blow out the candle. If you would like to sit longer, give yourself time to enjoy your journey. Never leave a burning candle unattended. Try some of these options and remember meditation is a tool, and to do it you don’t have to be perfect. You don’t have to meditate for an hour, 3 minutes is great. You don’t have to be in flowing robes and look like an ethereal being, your pajamas are just fine. Be easy on yourself my friends and let me know if any of these options worked for you.